Gary Lee-Nova is a Vancouver-based artist known especially as an important figure in the “West Coast Scene” of the late 1960s and early 1970s. Sometimes working under the pseudonym Art Rat, Lee-Nova has produced a sizable body of work ranging from film to painting, from cut-ups to mail art. Alongside his art-making, he has also maintained a passionate interest in William S. Burroughs since the late 1950s. He has studied, collected, and corresponded with Burroughs, and sometimes also carried Burroughsian inspirations in new directions (as in his cut-ups of comic strips). Seeing that Lee-Nova’s career-long experience of Burroughs could provide an empirical counterpart to the theoretical studies and publication histories being prepared by scholars today, RealityStudio prepared a list of questions that seek to probe his encounters with El Hombre Invisible. How did he find and then perceive Burroughs’ groundbreaking publications? How did they shape his notion of the man and the myth? Lee-Nova kindly agreed to consider the rather daunting list of questions RealityStudio proposed, and here is the result: one reader’s experience of Burroughs over nearly 50 years of fascination. RealityStudio: You had already heard of Burroughs before 1959, when Olympia published Naked Lunch and Life published its now famous article on the Beats. Do you have any idea how or where you first heard of Burroughs? What was the “myth” of Burroughs at that time? Gary Lee-Nova: To the best of my recollection, following the publication and emergence of On the Road and Howl, there was a lot of word of mouth about a group of writers, besides Jack Kerouac and Allen Ginsberg, who were representative of a “beat generation.” The attitudes and ideas expressed in On the Road were easy and exciting to identify with, so certain people became very curious about more of the same, or perhaps better. Somehow, the work of William Burroughs became known or otherwise discovered. Probably due to the dedication in Howl, a buzz  accompanied by a sense of frustration in not being able to easily acquire a copy  was circulating about the Paris publication of a book titled Naked Lunch. When a similar buzz was generated about Junkie, my literate friends and I expressed a burning interest and shared our dissatisfaction that it seemed to be off the radar, and the map. During the post-war years in Canada, there were numbing patterns of conformity in society and institutional culture. A couple of friends from high school and I were deeply interested in things that the other students found uninteresting. Socially, the school system was polarized. At one end there was juvenile delinquency  Blackboard Jungle  and on the other end, rigid conformity  Leave It To Beaver and Father Knows Best. We found both poles to be equally offensive and uninteresting. By the time I was into mid-adolescence visual art, music and literature were the only things (besides girls and custom cars) that really interested me. At the time, a small group of my friends enjoyed reading books, talking about what we were reading, listening to recorded music, and talking about that too. Individually and independently, I had developed a strong interest in visual art practice. Mutually, we discovered our shared suspicion of all the dogmatic assertions within the mainstream ideologies, i.e., “Politicians are honest,” “Priests are holy,” and “The policeman is your friend.” In contrast to the specter of things like American racial discrimination and nuclear annihilation, it all seemed to be completely bogus to us, and we sought out what might pass for real, valid truths, elsewhere. In the Autumn of 1958, about two months into grade eleven, I quit high school. One November morning, I was physically assaulted by a teacher and decided, “OK, these people are not only crazy, they’re dangerous. I’m leaving.” I immediately left the school and never went back. My personal situation was shaped by the particular absence of a biological father. I navigated childhood, adolescence, and approaching adulthood in search of father figures. I discovered a few: Burroughs, perhaps, being the most important to me, Marshall McLuhan coming in as a close second. Simultaneous with the emergence of the “beat generation” and the rumors about William Burroughs in 1957-59, Riverside Records was releasing recordings of artists like Thelonious Monk, recorded live; Fantasy and Verve Records were releasing recordings of Lenny Bruce and Mort Sahl in performance. Columbia Records released Miles Davis’ “Kind Of Blue.” Ornette Coleman’s music had emerged. Downbeat Magazine, the Evergreen Review, and anything from City Lights Books were must-have publications, as the 1950s crested and became the 1960s. By early 1959, I was holding a job, saving money for art school and spending money on books, records and art supplies. Working for a living was giving me a more valid experience and education of the real world than I had obtained from high school. In relation to the myth of William Burroughs, a strange scene gave the developing myths a peculiar but interesting twist. This occurred in the early mid-sixties, 1962-63. A young female painter arrived on the scene with a husband in tow. The husband was very strange, in that his behavior was strange  probably my first encounter with someone suffering from a paranoid psychosis. The story was that he had been in Paris with Burroughs, and Burroughs had used him as some kind of guinea pig, with drugs like scopolamine and other cryptic chemicals I didn’t recognize the names of. We did what we could to get the painter and her husband an apartment, and I hoped to ask Ray (not his real name) what the deal was with Burroughs in Paris. He seemed to have sane, rational periods where he behaved in a nice, approachable way. I hoped to make contact with him during one of these periods but it never happened. A heavy psychotic break took place and I don’t know if he ever recovered. His wife took him away, probably to the booby hatch, and that was the last we heard of him. There is no one around anymore from that period. If there was, I could contact them for details I’ve long since forgotten. After a careful look at the book of Beat Hotel, photo documentation from the time that William Burroughs was in Paris, I found no trace of anyone who looked remotely like the paranoid psychotic. So that’s an example of how the Burroughs myth was being appropriated in the early 1960s. RealityStudio: Did you have any idea that Kerouac had modeled Old Bull Lee in On the Road after Burroughs? Lee-Nova: I clearly remember one of my friends pointing out that Kerouac had modeled a character based on his friendship with Burroughs. This friend was, of all of us, the most passionate about Kerouac’s work, in particular Doctor Sax. Kerouac’s work was interesting and readable, but it failed to capture my attention to the degree that William Burroughs’ work did. The same goes for Allen Ginsberg’s work, but more so. After reading The Beat Hotel by Barry Miles, I chose Gregory Corso as the poster child for retroactive abortion. Recently, I read Oliver Harris’ William Burroughs and the Secret of Fascination, and was made painfully aware of how narrow-minded I have been with so-called “beat literature.” The reading has moved me to acquire the volumes of Kerouac’s letters, to give those a close reading. I am still fond of Mexico City Blues and Good Blonde, but the poets I was then most interested in were E.E. Cummings and Kenneth Patchen. RealityStudio: Do you recall having any expectations of what his work would be like before you first read it? And when you finally did read Burroughs (in Big Table), what was your reaction? Lee-Nova: If memory serves, the myth and / or reputation of William Burroughs preceded my reading experience of a work, or a fragment of a work. There were stories told; some true, many not. For example, there was an untrue story about William Burroughs that had him fire live shotgun rounds at a chandelier during a formal ceremony of some kind at Harvard. The rest of the stories that I am able to recall were echoes of the factual for the most part. They involved the shooting accident with Joan Adams Vollmer, opiate addiction, expatriate world travel, homosexuality, his friendship with Kerouac and Ginsberg, and criminal activities. Based on the stories and legends that were circulating, I believe I expected the work to be interesting and exciting, a welcome escape from the oppressiveness of institutional culture. On that basis, Burroughs was unlike anyone I had ever heard of or read about. The texts in Big Table were nothing like what I might have expected. Given the duration of time involved here, I can’t clearly recall with any precision what I expected. The texts were fascinating, a little bit cryptic, and initially I wasn’t certain I was reading ‘humorous’ material. But as Professor Harris makes so precisely clear, fascination was the main draw. The realization that the material was meant to be humorous, became apparent to me through the sections of Naked Lunch published in Evergreen Review 16 (January-February 1961), particularly “The County Clerk.” It was that reading which opened up the idea (and the experience) of Burroughs as ‘a voice,’ as well as being a writer, as was so astutely expressed in 1966 by Joan Didion in her review of The Soft Machine in Book Week (March 27th, 1966). The Evergreen Review from the previous year  Number 11, Jan-Feb. 1960  printed “Deposition: Testimony Concerning A Sickness.” Reading this gave me the impression that William Burroughs was extremely intelligent and rational, in a rather serious, interesting way, but also, the work was intimidating. He seemed so vastly erudite and knowledgeable, in contrast with other material I had heard and read about him. Some of this suggested that he also had, for lack of a better term, a wild streak, or was perhaps a little deranged. By the Autumn of 1961, after reading the piece on DMT in Evergreen Review 20, I believe I was forming an image of him, as an “explorer, investigator, observer and reporter” of a world that dominant ideologies were trying to keep secret and out of sight  all the forbidden stuff. Remember, at this time, I was living through my seventeenth and eighteenth years. While absorbing all this amazing material, I was made quite aware of the attempts at censorship in the USA. RealityStudio: At that time, were you already a follower of the “little magazines?” Or did you seek out Big Table just for Burroughs’ contribution? The manager of this enterprise was a very knowledgeable man who stocked The Paperback Cellar with titles from every major, and most of the minor, publishers of paperback books  New Directions, Beacon, City Lights of course, Vintage, Viking, etc. It was an exciting place to go. A high school friend and I would regularly visit the bookstore on Friday evenings, when the store was open until 9:00 PM. I discovered the reality of “little magazines” on the shelves, near the City Lights publications. These I regarded as signs that possibly the conformist, institutional culture might be coming apart at the seams. In general terms, I sought out literary magazines for Burroughs’ contributions, and found some other work interesting, but not fascinating. RealityStudio: If you were a regular reader of the little magazines, did you feel that Burroughs stood out from the other avant-garde and underground writers published in them? Lee-Nova: In terms of finding the little magazines, I did the best I could. After I had returned to Canada from the UK in 1962, some people who were aware of my interests would give or send me things, including a friend who was living in London during the early mid-sixties. He mailed several editions of Jeff Nuttal’s My Own Mag to me in Vancouver. At the time, I found some of these to be as bizarre as they were interesting, and they were very interesting. Yes, the work of William Burroughs always ‘stood out’ distinctly from the other contributors. Finding anything authored by William Burroughs was like finding something akin to an urgent bulletin that radiated a great, cosmic significance, expressed in a unique fashion. RealityStudio: Was it confusing, as Professor Harris has suggested it must have been, to encounter Burroughs in the little magazines when pieces of texts were labeled and moved around from book to book (as in the overlap Prof. Harris describes between Yage Letters and Naked Lunch)? Lee-Nova: My early and initial encounters with the work of William Burroughs were very much as fragments, but I experienced none of the confusion postulated by Prof. Harris. There was a little paperback; I think it was titled The Beat Generation and The Angry Young Men. (I can’t check on this as I seem to no longer have it.) This book published a fragment from Junkie, called “My First Few Days On Junk.” Along with items like this, there were the Big Table incidents, Evergreen Review, etc. The discontinuous, shifting patterns of production and publication were very much part of the psycho-social landscape of the times, as I experienced them. In addition to the emergence of work by William Burroughs, and all the other things mentioned above, drugs of various kinds were on the scene. Marijuana, peyote, mescaline, LSD25, methamphetamine, psilocybin and heroin were readily available. The only drug that remained obscure during the early 1960s was cocaine. That changed, as the late sixties crested into the 1970s. The use of psychotropic / hallucinogenic drugs introduced us to very discontinuous patterns of experience, both cosmic and pedestrian. So, the textual irregularities in the publication patterns, cited by Prof. Harris, were just part of the cultural, environmental and psychological ambience of the times. Today, I regard the fourth edition of Junky to be of much greater literary value than the original Ace Double first edition. Of course, a copy of the latter can be sold (or bought) for a much greater amount of money than the former. However, I am very grateful for the academic attention that the work of William Burroughs has been given, starting, for me, with Eric Mottram’s The Algebra of Need (Beau Fleuve, 1971), followed in 1985/87 with Jennie Skerl and Robin Lydenberg’s publications, and now the work of Professor Harris. The same readily applies for the fourth edition of The Yage Letters. Critical, investigative excursions taken by literary scholars such as Professor Harris are of very high value in my opinion. Not to suggest, when I read the Ace original of Junkie, that I didn’t enjoy it at the time. I owned it, enjoyed reading it, and sold it, along with other rare volumes, in order to finance a trip to Los Angeles to see the Ports of Entry retrospective exhibition. So, no, it was never a case of “confusion.” Remember, I was approaching the reading of the work as an eager, adolescent art student, not as a scholar of publication histories. To find and read a published text of William Burroughs was to obtain a glimpse of cosmic reality; the integrity of manuscripts, and the purported havoc wrought by editorial zeal, was of no concern to me. RealityStudio: When did you obtain your first Burroughs book (as opposed to just reading him in periodicals)? Which book was it  Naked Lunch? And if so, which edition (Olympia, Grove, Calder)? Lee-Nova: If you consider The Exterminator a Burroughs book, and put the collaborative issue with Brion Gysin aside, then, if memory serves, that was my first purchase. The focus on language and linguistics in The Exterminator was something I found deeply interesting. My own inclinations were already consciously heading in the direction of developing a comprehensive understanding of language and semiotics. Until I had obtained a solid, core collection, in 1973, I didn’t see or own a copy of Minutes to Go. Again, if we put aside the collaborative issue  Allen Ginsberg in this case  The Yage Letters was another early purchase. In 1961/62, I spent about sixteen months studying visual art in a second-year college program in Coventry, England. On regular weekend trips to London, I found things like the Evergreen Review in bookstores on Charing Cross Road. During the same period, one of my few high school friends traveled to Europe by freighter and hitchhiked all over the continent. Over time, he made his way down south, to North Africa and Tangier. While in Paris, he bought a copy of Naked Lunch and showed it to me when we met in England in the spring of 1962. Also, he bought a copy of The Ginger Man by J.P. Donleavy. I did not own a copy of Naked Lunch until the early 1970s, when I bought the heart of a serious collection from a local book dealer. The collection contained the Paris and Grove Editions of Naked Lunch, The Soft Machine, The Ticket That Exploded, a hardback copy of Calder’s Dead Fingers Talk, two copies of Time from C Press, amongst numerous little magazines, and a set of the Mayfair Magazines, from London. While in England, during June and July 1962, I recall reading the entire Naked Lunch text that belonged to my friend. It gave me a rather rich mix of very diverse reactions: fascinating, frightening, horrifying, hilarious and very confusing, in terms of being unable to find an appropriate context, when it came to the graphic sexual scenes in the text. In conversation with the friend who bought the book in Paris, he expressed opinions along the lines of “….parts are a bit too horrory…” (his word) and that the author had gone “…too far out…” in places. I regarded my friend as more literate than myself; after all, he had won the grade twelve poetry award in high school and refused to go up on stage to receive it. However, I recall being unable to agree with his position about the text. It was not “too far-out.” It was challenging. It was not until I re-read “The Cannibal Feast,” by E.S. Seldon, in Evergreen Review 22, that was I able to contextualize the whole book, in most of its many aspects. Understand, I read Seldon’s review of Naked Lunch  January-February, 1962  before I read the whole novel. In that same issue of Evergreen Review, Burroughs’ “Introduction to Naked Lunch, Soft Machine and Novia Express” was published, along with an excerpt from Novia Express (sic). Much like my first encounter with Naked Lunch, my exposure to the Paris editions of The Soft Machine and The Ticket That Exploded were through another person. This individual began as my first-year art school painting teacher, and he became a good friend after I left art school. Someone, Cid Corman perhaps, loaned the two Paris editions of the titles to him, and because the books were on loan to him, I didn’t get a chance to have a thorough reading of them. He showed them to me, and made comments that I can’t clearly remember. Being part of the Paul Reps / Cid Corman School of “Zen” Poetry, I think he was generally disinterested in the work of William Burroughs. The various magazine appearances of a contribution by William Burroughs often had “notes on contributors,” and frequently work in progress would be mentioned. These involved titles, such as Vaudeville Voices and Johnny’s So Long At The Fair. At one point Nova Express was being called Novia Express. RealityStudio: What was your reaction to the first book you purchased? How did it compare to the other sorts of things you might have been reading at that time? Lee-Nova: Nova Express really impressed me in a powerfully profound fashion, in that it had real book covers rather than the paperback treatments I had previously encountered. This was like a “real” book! It seemed to be an authentic packaging of what I considered important writing. It also suggested to me that other people were taking his work seriously; it was obtaining significant validation. The prescriptive (and descriptive) passages in the text were things I found extremely interesting. Nova Express remains one of my favorites, but I am prone to re-reading anything I have in my William Burroughs library. I recall buying a few copies of Nova Express to send to friends who were not local, and giving copies to other friends who lived locally and were on the scene. For me, reading this text stimulated and reinforced an already active interest in collage strategies (theory and practice) in terms of visual art. I knew musicians who were applying collage strategies to both composition and performance. Many of the painters and musicians in my acquaintance were very interested in William Burroughs’ work, but I believe the musicians outnumbered the painters. Other texts I was reading at the time (that I can remember) were John Cage’s Silence, and McLuhan’s Gutenberg Galaxy and Understanding Media  all memorable books. I still have works by William Burroughs and Marshall McLuhan, but the John Cage is long gone. At the time, I was working at the University Of British Columbia bookstore. This exposure gave me access to a tremendous range of texts on all manner of subjects. For example, I recall reading Norbert Weiner’s The Human Use Of Human Beings. I read a lot of other books about computers, computer languages, and linguistics proper  Whorf, Sapir, etc. During my time as an art student in Vancouver and England, I became interested in what was at the time being called the “Theatre Of The Absurd.” I enjoyed reading the work of Samuel Beckett, Eugene Ionesco, Harold Pinter, Edward Albee, and Fernando Arrabal, a fascinating Spanish playwright. After I left art school (early 1963) this interest faded, while a commitment to the “cut-up conspiracy” became second nature. RealityStudio: How did the first book alter or enhance your notion of the Burroughs myth? Lee-Nova: By first book, I assume you mean “novel.” Nova Express made me realize that William Burroughs had cutting-edge sense abilities, no pun intended. I also realized that these sense abilities were not vulnerable to any kind of breakdown, in terms of sustained, intense exposure to the bizarre or the potential shocks of exploring remote and radically different cultures, and powerful, mind-bending drugs. He was exploring and experimenting with the frontiers of consciousness, unconsciousness, language, technology, art, literature and other cultures, with what I regarded as exemplary courage and stamina. I began to have a deeper understanding of him as a gifted explorer  an astute observer / perceiver, thinker and journalist  an artist who happened to write. What I mean here is, that I didn’t regard him as a writer in the exclusive sense. I regarded him as an extremely versatile person whose curiosity about the world, and courageous exploration of it, would be an interesting challenge to match in my own youthful endeavors. RealityStudio: Were you aware of the 1959 Life article about the Beats? Do you recall any other articles about Burroughs in the popular press at that time? Lee-Nova: No, I didn’t see that issue of Life until someone showed me a copy in the early 1980s. And except for what appeared in magazines like Evergreen Review and Big Table, I knew of little mainstream press reportage. A 1964 issue of Time magazine contained a review of Nova Express but, beyond that and McLuhan’s piece in The Nation, I only sought out the literary periodicals and little magazines of the time. There is a vague memory of an Esquire magazine piece on Tangier, in the later sixties, which had pictures of Billy with his father. RealityStudio: What were the constituents of the Burroughs myth at that time  heroin addict? petty thief? wife killer? traveler to exotic lands? Were all these part of the early Burroughs myth, or were they only added over time? Lee-Nova: Big Table 2 published the Alan Ansen essay. That essay delivered a fascinating portrait of William Burroughs, as did the piece by Paul Bowles in the same issue. It was the experience obtained from reading these essays that gave an initial form to his mythic identity. RealityStudio: At what point did you become aware that Junkie, credited to William Lee, was also written by Burroughs? When did you first read it? Did it affect your conception of Burroughs? Lee-Nova: That fact, I believe, was known very early. When I obtained the collection in the early 1970s, I read the entire novel in the Ace Double. Prior to that, I only had an exposure to fragments. I can’t say that my conception of William Burroughs was altered by the reading experience of the book. By the early 1970s, the various interviews, reports and critiques of his work had painted a mural-sized portrait of him. RealityStudio: After Naked Lunch, Burroughs spent the next decade working on cut-ups. Did you encounter these as they came out? And if so, in what format (the little magazines, the early publications of Minutes to Go, Exterminator!, Soft Machine, etc)? Lee-Nova: No, my experience of those works was in no way parallel to the publication order, with the exception of The Exterminator, The Yage Letters, Nova Express and APO-33. Nova Express was first in my personal reading experience of a “novel,” as I described earlier. I didn’t give a close reading to The Soft Machine or The Ticket That Exploded until the Grove Press editions emerged in 1966 and 1967. Until I acquired the collection in 1973, I hadn’t fully read the Paris Editions of the latter two. Beyond The Exterminator and The Yage Letters, APO-33 was my first encounter with work that bore strong traces of his own hand, in terms of layout and graphic presentation of cut-up material. The My Own Mag material was too crude a mimeograph reproduction to impart a strong sense of this fascinating aspect. I saw more work of this kind when The Dead Star was published in the later mid-sixties. RealityStudio: The cut-ups took the collage technique of Naked Lunch in a more extreme direction. How did you react to this move? Did you enjoy the cut-up books, or did you find them inscrutable, or both? Lee-Nova: Having not read all the English language editions of these texts, yet having read and re-read those titles many times, I enjoy them all, with a particular affection for the Grove Press Edition of Nova Express. The edition of Ticket I most like is the Grove Press publication, and my favorite edition of The Soft Machine is the Calder Edition. Dead Fingers Talk is to me an interesting, experimental text, in that it appears to have sections of Naked Lunch The Soft Machine, The Ticket That Exploded and Nova Express collaged together. It bears traces of the compositional strategies of Naked Lunch, Queer and The Yage Letters. So I am familiar with the Paris, Grove and Calder Editions, and have read and re-read these many times. Quite recently, I re-read the Paris edition of Ticket. For the following reasons, I believe the cut-up, collage projects are important. When William Burroughs talks or writes about cut-ups, he is defining auditory space. Auditory space is discontinuous space, unlike visual space, which is linear, continuous, connected and contained. With a linear, printed verbal structure, there is an extension of the auditory into the visible, making the auditory subordinate to the visual. In order to read writing and print, we learn to “sound it out”, mentally / subjectively. What is the function of the alphabet, beyond a need for record keeping? The alphabet made the sounds of speech visible. It translates the audible into an abstract, visible form. With any kind of translation process, including sensory translation (one sense ability translated into another), things are often lost and/or gained with the result, and there are often quite a few  if not a large number of  unintended consequences. Cutting up printed text  which is cutting up the visual, linear, discursive structure of sentences and paragraphs  imposes the structure of auditory space onto the visible, alphabetic system and codes. It inverts the situation, “tables turned”, the expression might be, although there is also a major upset of the alphabetic apple-cart. But in McLuhan’s precise terms, it involves a total reversal. So, just as alphabetic code imposes a visual structure on the auditory structures of speech and sound, cut-ups impose the audible / auditory structure onto the visible. What is imposed onto the continuous, linear, connected, discursive visual structure of print, writing and alphabetic code, is a structure of simultaneity, discontinuity and juxtaposition. Of course other factors, noted by William Burroughs, are also in play: randomness and chance operations  the results of spontaneous action, etc. William Burroughs often spoke of the “actual facts of perception” as a cut-up. What is meant by this are the discontinuous perceptual patterns of sight, sound, kinesthesia, touch, taste and smell. These sensory channels, all taking their turns, in a discontinuous, permutating, but random fashion, with a processing of physical sensory input and patterns of subjective closure (i.e., mental output). Patterns of perceptual processing of experience are nothing like the structure of written sequential narrative, representational painting or cinema. Collage, in many of its forms, is closer to the actual facts of perception. Cut-ups  by Brion Gysin, William Burroughs and all of those artists preceding them  were loud echoes of what had been happening to the whole of Western society since the telegraph: an electrification of public and private environments of human kind, and the human mind. Electronic and electromagnetic technologies are auditory in their effects, not visual. Specialist, mechanical technologies, like a printing press, are visual in their effect. But today, almost all mechanical technology is enveloped by electronic or electromagnetic technology. William Burroughs was, I believe, thoroughly enchanted with the power unleashed by applying collage strategies and tactics to writing  the power to dismantle and rearrange certain subjective patterns and structures. In other words, the power of being able to turn the tables on the alphabet and all of its power, and impose an auditory space of experience onto the visual space of a reading experience. This, I believe, was a kind of intoxicating power for him. He gradually or eventually de-toxed, but I know he understood the power of media and sensory inversion and reversal. He also understood the value of instrumentalizing randomness and spontaneity  scissors or switch-blade. RealityStudio: These books seem in retrospect to have added a more self-consciously avant-garde veneer to Burroughs’ “outlaw” image. Did you find that to be the case at the time? Lee-Nova: No, not in my experience. From the beginnings of my encounter with the persona and the writings, William Burroughs had a powerfully authentic, avant-garde aesthetic, and this was always part of the “outlaw” image. For me, the image remained quite constant, even into the 1990s when William Burroughs did things like commercials for Gap and Nike. Of interest, from my perspective, is that the maverick / outlaw / renegade artist image remained intact, while, perhaps for some, there was a partial eclipsing of the extreme outlaw image, to the point where some might argue William Burroughs became “mainstream.” For me, what was occurring was more of an “infiltration” or “viral infection” of mainstream culture, and not an accommodation of or a selling out to it. If I take some stock of what is occurring today in the mass media, programs like The Daily Show and The Colbert Report, for just two small examples, convince me that significant portions of the culture are engaged with cut-up and collage strategies and tactics. And it’s no longer a matter of “reading between the lines” but of reading between the cuts. RealityStudio: Jan Herman has spoken to me about the importance of the Call Me Burroughs lp (issued in 1965) in cementing his love for Burroughs. Do you recall purchasing the album? Lee-Nova: In the early mid 1970s, during an artist-in-residency at a college close to Portland, Oregon, I found a new copy of the ESP LP in a store that carried a comprehensive range of vinyl recordings. I had long hoped to find one, so the event was memorable in that ‘dream comes true’ sort of way. That discovery started a serious collection of vinyl and tape, and more recently compact disc recordings. A friend who attended most of the Naropa Summer Sessions recorded several of the William Burroughs lectures and readings and made many of those available to me. RealityStudio: If so, what did you make of it? Did Burroughs’ voice play any significant role in forming your interest in him? Lee-Nova: The tracks on Call Me Burroughs were my first encounter with the sound of his voice. Up to that point, I had only imagined what his reading voice would be like. After hearing it, the resonance of his voice became an integral part of every reading experience. RealityStudio: Did you ever attend any of Burroughs’ readings? Lee-Nova: I met with William Burroughs once. In the early mid-1970s, he was invited to read in Vancouver, Canada, for the first time. Before going to the reading, I ate about six grams of Lebanese hashish. He gave an outstanding, memorable reading, and a print of The Cut-Ups was screened. Following the reading, screening, and Q&A, the people who arranged the event took it upon themselves to introduce me to him. I had brought along a copy of the issue of Jeff Nuttall’s My Own Mag devoted to the Dutch Shultz texts, hoping for a signature. Following my humble request, he graciously signed it. His manners were impeccable and his courtesy unforgettable. During the Q&A, to break up the tedious monotony of a stream of utterly stupid questions, the writer George Bowering, himself a very tall man, stood up and asked, “How tall are you, Mr. Burroughs?” “I’m six-foot-two…” was the reply. Shortly after returning home from the reading, I had my first and only “out-of-body” experience. I laid down on a couch to relax, and come down from the reading, the hashish and my encounter with The Great Man. Suddenly, I found myself up in a corner of the room against the ceiling, gazing down at myself lying on the couch, distorted, as with a “fish-eye” lens. It was just too amazing to do anything really creative and far-out with, like a visit to the moon or something. It was an extraordinary climax to a memorable artistic event. At the time, I had little knowledge of “exteriorization,” à la Scientology. On a few occasions over the years, William Burroughs and I corresponded. In the early 1980s, I had a long telephone conversation with Brion Gysin. RealityStudio: In the 1970s you began to collect Burroughs’ work more seriously. Was there anything in particular that inspired you to become more serious about Burroughs at that time? Lee-Nova: Following my purchase of the collection from the book dealer, I would haunt his and other shops in search of items to add to the collection. During one visit to his store, he showed me a copy of A Descriptive Catalogue Of The William S. Burroughs Archive that Barry Miles and Richard Aaron of Am Here Books had published. I bought the book and became deeply engrossed in it. Some of the photographs reproduced in the book inspired me to explore the possibility of making some silk-screened portrait images. After contacting the publisher for permission, I developed a correspondence friendship with Richard Aaron of Am Here Books. Through his catalogues, I was made aware of items of special interest: signed and numbered editions, rare, limited publications, such as Ali’s Smile, and an extraordinary range of literary appearances that I had been unaware of in magazines from the 1960s. Much of this was material I had not had an opportunity to read, so my interest in acquiring it was strongly stimulated. Although I was always a serious reader of his work, I had not been aware of the range of publications that were available. As much as I enjoyed handling the material and, of course, reading or listening to it, I don’t regard myself as a museum curator or archivist. That is the effect the rarities ended up having on me, whereas I prefer to regard myself as a student of the work. RealityStudio: After the publication of Wild Boys in 1971, Burroughs published nothing “major” during the entire decade. As a fan and admirer, were you aware of this at the time? Or did the stream of “minor” publications keep you interested? Lee-Nova: While not a Naked Lunch, I regard The Third Mind (1978) as a major publication, and believe Exterminator, the Dutch Schultz work, Cobble Stone Gardens, Blade Runner, Port Of Saints, Ah Pook Is Here, and The Book Of Breething, to be very interesting works. I was aware of the effect of making the transition from expatriate to “St. Louis Return,” but for me the decade had a steady pattern of publications that I continued to find fascinating. From Richard Aaron, I acquired a copy of the Covent Gardens / Am Here Books Edition of Port Of Saints. This edition is nothing like the later editions published in North America and England. It has photo illustrations, drawings, and a very different discursive trajectory. There is a line in the text that I find unforgettable: “We entered a valley of dream from which there is no awakening.” I believe the line was excluded from the Blue Wind Edition. RealityStudio: By the 1970s, had the “myth” of Burroughs changed at all since you first heard of him back in the late 1950s? Lee-Nova: The return to North America in the early ’70s certainly caused the expatriate image to fade out. He entered what might be considered the second phase of his career; the first being expatriate, and the second, performer. What changed, for me, was his collaborative nature, which was coming into a much sharper focus as he explored mixed-media and performance with a rather large number of other artists. After I became a professional artist, I found that I had very strong collaborative tendencies, so this aspect of his activities was of considerable interest to me. RealityStudio: In the 1980s Burroughs sought to reestablish himself with the publication of the trilogy that includes Cities of the Red Night, The Place of Dead Roads, and The Western Lands. What did you make of these books when they were published? Lee-Nova: These texts were quite delightful. For me, they pose very different challenges than those posed by the early work. I find an intriguing sense of historical epic to be present in this work; a totally different sense of interplanetary, galactic epic was found in the earlier work. RealityStudio: In 1985 Viking published Queer, which had originally been written in 1951. What was your reaction to this publication? Did it round out the notion that you had of the 1950s Burroughs? Lee-Nova: This is another of my favorite works by William Burroughs, something I re-read regularly. I am particularly fond of the introduction written by William. The text shows an early involvement with literary experimentation; an integration of “routines” into the narrative. Another interesting aspect of the writing is the expression of personal emotional vulnerability; an openness of personality and spirit that I find both disarming and endearing. RealityStudio: Burroughs’ late books include Ghost of Chance and My Education: A Book of Dreams. Any thoughts on those? The golden age of William Burroughs book-scouting in this part of the world is long gone, but sometimes, when I find myself in used bookstores, I make interesting discoveries. I prefer such expeditions to ebay. On one such occasion, I discovered (1) a copy of volume three of the Laura Lee Burroughs “Flower Arranging” books, published during WWII by Coca Cola, and (2) a very fine hardback copy of My Education. I’m here to tell you, it is a memorable experience to walk out of a bookstore with a copy of a book by William Burroughs and a copy of a book by his mother under your arm. At that point, I was still maintaining, as best I could, a “study collection” and the assemblage of rarities. I had already bought and read a hardback copy of My Education. After the publication of the later trilogy, all the years of being “on the road” with readings and performances, and the annual teaching at Naropa, I perceived a gradual sense of retirement in William Burroughs. For the last few years of his life, I think, he wrote things that were completely beyond any concern with marketability, pleasing his fans, or propping up an aging reputation. For me, any of his writing is worthy of very close reading. RealityStudio: Setting aside anthologies, the only Burroughs work to appear posthumously (thus far) is Last Words: The Final Journals of William S. Burroughs. Fans seem divided on the work, some seeing it as the uncensored thoughts of a gentleman genius, others seeing it as the literary equivalent of an old man puttering around in the garden. What’s your take on the work? Lee-Nova: There is no real comparison of experience possible with the sense of the anxious anticipation of finding a new William Burroughs text; and then the excitement of having a new text to read from William Burroughs, as was the case in the 1960s and 1970s. The work from that period always seemed to have a fascinating “edge” to it, a pure originality of expression. By the 1980s, when his work was becoming more and more accessible and less obscure, that experience of intense, anxious anticipation subsided somewhat. Some excitement remained, in terms of finding and reading something that heretofore had remained obscure for some time, and that still remains to some extent; Evil River is an extreme example. The current project that Professor Harris has underway  The South American Journals of William Burroughs  is something I am very excited about. When the “meta literature” about William Burroughs’ literature has the caliber of the fine work done by Professor Harris, I find it very exciting to read and to anticipate. For another, less extreme example, I have never seen or read a complete copy of The Retreat Diaries. I have only read what I reckon is part of the text in The Burroughs File. I am having a bit of that old excitement of anticipation as I close in on a possibility of being able to own and read a copy of The Retreat Diaries. RealityStudio: Looking back on it, how would you say the Burroughs myth has changed over the almost fifty years that you’ve followed it? Lee-Nova: In my perception, there is the obvious pattern of drug addicted, criminal hustler and farmer, “on the road” and on the lam; from international expatriate writer to St. Louis return, in show business as a public performer. 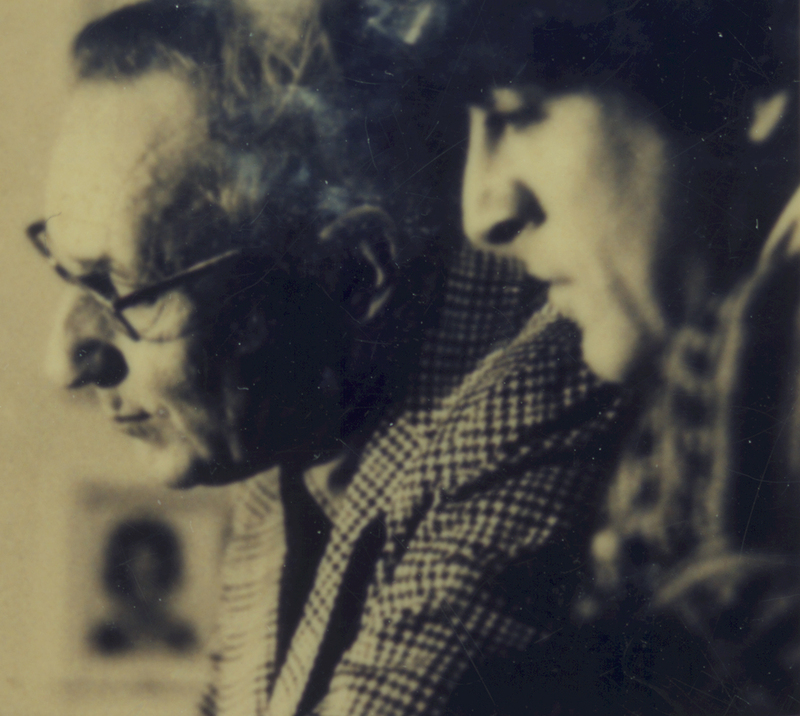 With Professor Harris’ work on the letters  the Yage Letters and the early work, along with the work of Rob Johnson and David Ohle  a detailed, chronological picture of William Burroughs has emerged and come into much sharper focus. Having such works parallel to the literature amplifies my interest considerably. RealityStudio: In 1987 WSB began to explore and produce paintings. Have you seen any of this work and if so, what are your opinions of it? Lee-Nova: It was my very good fortune to visit the “Ports Of Entry” retrospective in Los Angeles, and I saw all of the paintings included. This involvement with painting and picture making I regard as an exploration of “sign” making, mark and image making, outside the constraints of written, verbal signs; not to a necessary exclusion of verbal signs, but exploring all kinds of sign, outside the context and the constraints of writing, in the conventional sense. Of some interest is the relation of shooting with firearms to painting and related forms of picture-making. Ballistics, as a linear science, involving the trajectories of projectiles, shares a close relationship with the linearity of alphabetic writing and print. Ballistics, and the vehicle of firearms, were the primary portal through which Burroughs, as he himself stated, was driven to become a writer. Ultimately, ballistics was a portal William Burroughs chose to move his writing through, to painting. What do I think of the paintings? For me, Burroughs’ paintings have the touch of innocence. They are very unsophisticated, but have the charm of things done by nascent beings, like animals or children. Painting for William Burroughs was, I think, a return to childhood and unfettered innocence; enriched and guided by his extremely finessed maturity, powers of observation, erudition, and all the forms of knowledge he had acquired. His paintings are playful yet deadly serious, but not in any way academically serious. I mean serious in the sense of having been created by someone fully knowledgeable of the power of language and non-verbal signs on human consciousness and unconsciousness. As usual, he was exploring the outer limits, beyond the frontiers; rearranging boundaries, examining and revealing processes by which meaning is produced and consumed. RealityStudio: Did Burroughs, the man or the myth, have any particular influence on you that you’d care to describe? What was his significance for you? Anything else you’d like to add? My experience of this text, and the prior-mentioned fragments, followed by The Exterminator, completely solidified my interest in the work and whatever the man had to say or write. His patterns of observation and thought are very engaging, through all of the interviews that I have read. I do find myself in disagreement from time to time, but this enhances my interest  intensifies the fascination. His reading list is something I have found useful; Korzybski, Hubbard and Dunne, for example. Currently, I am reading J.W. Dunne’s An Experiment With Time, and am finding it to be an extremely interesting and valuable text. I first read Korzybski’s Science And Sanity in the 1970s and have returned to it several times. Hubbard’s Dianetics is an attractive set of theories about the human mind, whereas Scientology is a hideous abomination. “Abomination” is a rather ugly, final word in an interview such as this one. So I would like to thank RealityStudio for the opportunity and experience of reflecting and reporting on the many years of my involvement with the work and personality of William Seward Burroughs. And thank you Jeanie, for your many third-mind insights and generous help with the editing of this text. Published by RealityStudio on 5 February 2007. A million thanks to Gary Lee-Nova and his partner Jeanie. Updated on 17 November 2008 with photo showing Burroughs and Lee-Nova. Burroughs is signing Lee-Nova’s copy of the Dutch Schultz issue of My Own Mag. Photograph from the collection of Gary Lee-Nova. This is a great interview. Very informative to hear how Burroughs was received at the beginnings of his career. It would be interesting to get the remembrances of somebody who picked up the Ace Junkie in a drugstore in 1953!! On a related note, being around Vancouver in the 1960’s with an ear to the ground on the alternative literary scene, do you have any recollection of the 1963 Poetry Conference, the 1961 lectures, Warren Tallman and the group around Tish Magazine and Open Letter. More information on the art and literary community of Vancouver at the time would be great. Gosh, great interview. So many things laid down in reasonable order and context. I want to say more, but it would be an echo. It means a lot to hear Gary’s memories of meeting William, the graduated dawning, I mean, the intimacy of reading, the gradual understanding, reminds me of my own journey that somehow Burroughs takes us on. Thanks. Thank you for the kind comments, Jed and Patricia. For it to have been published by Reality Studio on February 5th, 2007, WSB’s 93rd Birthday was a great honor for me! well said. i throughly enjoyed the interview. thanks for taking the time to do it. fascinating interview… and particularly the references to drug experiments in early 60s. I have come across an account of Burroughs allowing himself to be the subject of such an experiment, probably DMT in its earliest form (just synthesised in Amsterdam in 61 I beieve) and in a flat in Hammersmith. Prestonia is mentioned in the letters vol 2. Thank you, Jim. I hope you can compose an article about WSB, DMT and the early 1960s.